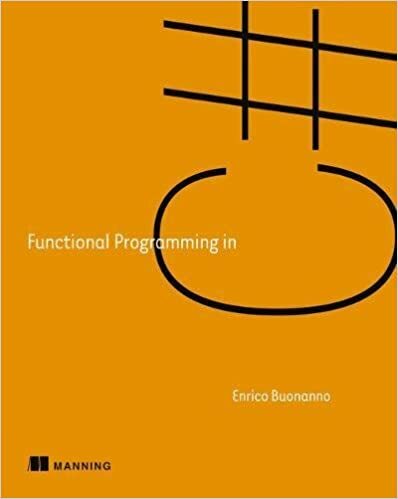 I am currently reading the book Functional Programming in C# by Enrico Buonanno. Each chapter has a series of exercises. Which I am going to do some of them and put into my blog. I am not going to do all of them necessarily but the ones I find most interesting. I learned quicksort back in memory was at a premium, so I did learn to sort in place. In fact instead of using recursion all the way down, we usually just did a bubble or shell sort for n less than some value. Enrico includes a download from his GitHub account for all of the exercise (it includes samples). It is interesting to compare some of the difference in the code I wrote (below) and the code he wrote. I biggest difference was where the pivot point was chosen. He did the first element, whereas I did the last element. I do think his is more efficient for C#. // evaluates to `true`, the resulting function evaluates to `false`, and vice versa. // rather than sorting it in place).